All the activities of the CIHEAM rely on a BOTTOM-UP COLLABORATION approach and are PROBLEM-SOLVING oriented, connected to the peculiar needs of the countries. 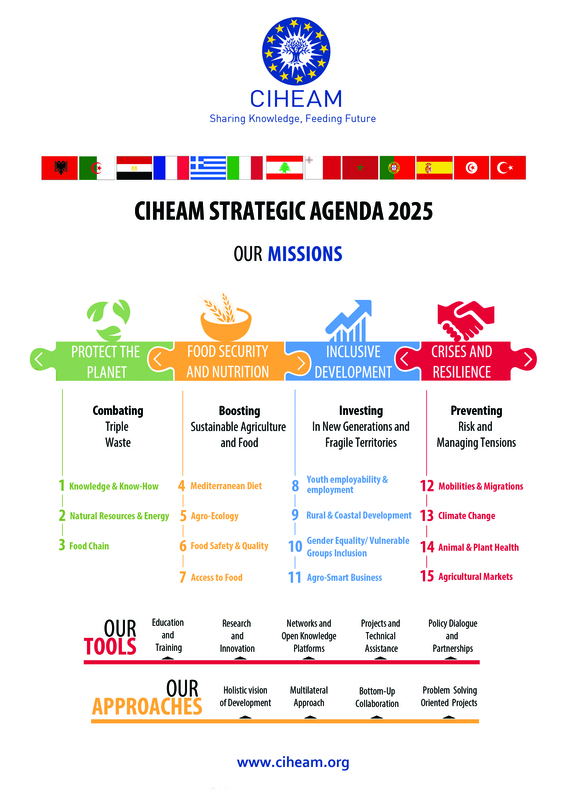 CIHEAMs missions are structured around 4 PILLARS of developpement and divided into 15 THEMATIC PRIORITIES. 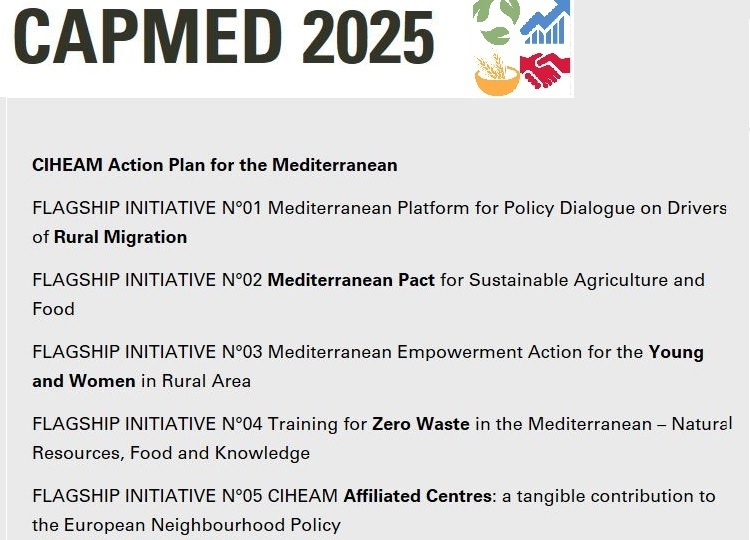 The CIHEAM strategic agenda 2025 and its action plan aims to contextualise the United-Nations Agenda 2030 for Sustainable Development, to the Mediterranean Region and to specific domains.